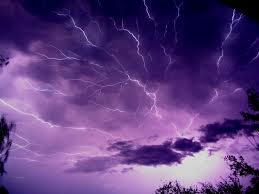 The lightening streaks across the dark ominous clouds as Sadë watches for a millisecond before scampering off terrified. At this very moment Sadë is in a cubby hole hiding from another thunderstorm storm that frequent Colorado afternoons. She pants while peering out of her cubby with a concerned look in her soft brown eyes. Sadë follows every move I make lowering her head to her feet as I leave the room. “Sadë, you are fine, it’s only an afternoon storm.” She makes a motion to get up and then settles into a curve in her cubby. 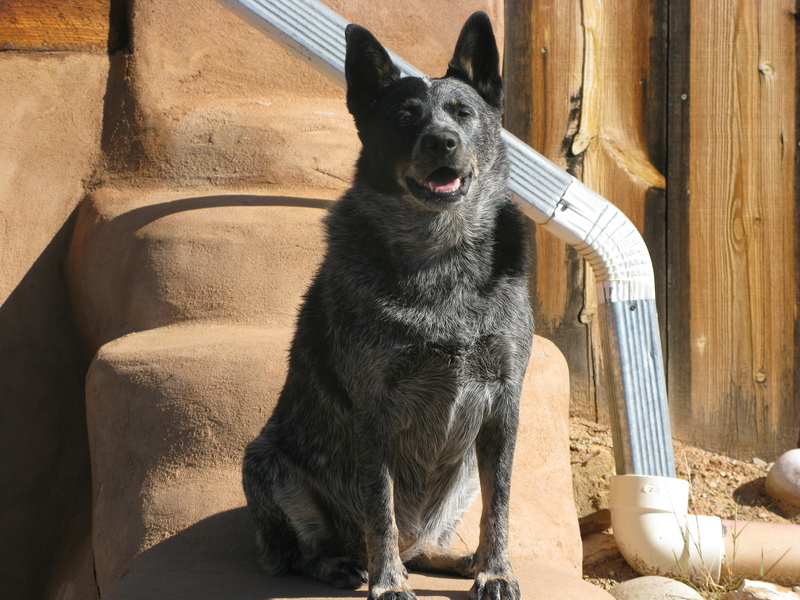 Sadë is an Australian Cattle dog, commonly known as a Blue Heeler who are descendants from the Australian Dingo. 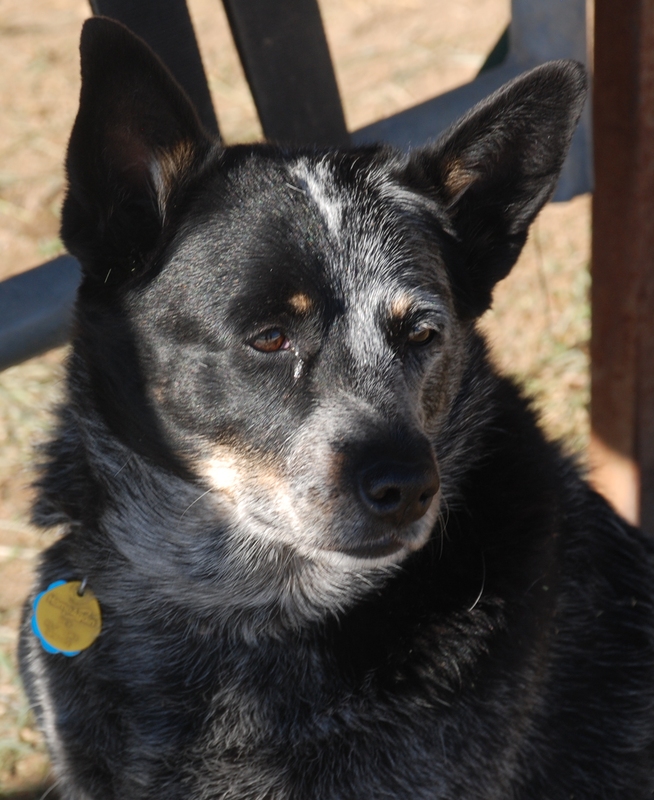 Blue Heelers are working dogs on ranches herding sheep or cattle. Sadë is also a working dog, she is a Service Dog. Many compliment Sadë in amazement to her calm demeanor and attentiveness to her surroundings and extraordinary mindful behavior. People wish to come over and pet her, this is when I educate them on the protocol of service dogs. Sadë has such a friendly face accompanied with her calm demeanor this becomes an attraction. If she gets off duty time I will allow some photographs and a few pets; this is when Sadë truly wins everyone’s heart. Sadë begins to perform her “I am so happy-good doggy dance on the floor.” This action delights the onlooker, uplifting their emotions with inspiration from a happy dog. Having people feel happy is part of Sadë’s service to humans. For a moment they forget about the challenges in life. Because of her benevolent influence Sadë is invited to friends’ houses. Regularly I add: “you know I am coming also.” This comment elicits laughter, but I do need to remind people Sadë does travel with me for eight years this August. The timing of that slight premonition was ridiculous and quickly dismissed. Having two dogs, rescuing four different feral kittens and in the midst of many doctor visits, diagnoses, queries, due to my injuries, Monday through Friday. Another dog? How ludicrous. Here on a Saturday morning, with alarming attention I sat for the first time in two decades without a dog, I need my best friend; today! The previous month of July, four growing feral kittens whom I found in a dilapidated barn, and rescued, to what I thought would be a safe home were snatched by a local barn owl. Hearing about this monstrosity of a barn owl, exaggerated stories ran wild fire through the local ranch land neighborhood. I never saw the owl myself, but heard it stood as large to the size of a small female, many equating the owl to be my size, a 5’4” female. I doubt it was a redhead. Nonetheless, the last cat standing is my Sammie Kewl Kat of 16 years; barn owl savvy. Four some weeks before my schedule shoulder surgery, my Buddi, a blonde husky mix was having neurological problems. We had trips into the vets, x-rays revealed nothing. Late in the early midnight hours Buddi shrieked, that began his death through the night. Forcing a pain pill into his clenched mouth I knew this was the end. Making him as comfortable as possible, I watched Buddi slowly lose consciousness. Before 7:00AM I called the vet office. Leaving an urgent informative message; I was coming in with Buddi who was semi-comatose. When arriving at the vets’ office two technicians were ready with the stretcher. Inside the surgical room Dr. LaBonde’s shook his head, “this is not good MicheleElys.” Immediately I replied “let him go peacefully.” I said goodbye to Buddi and had him cremated, new bed and all. 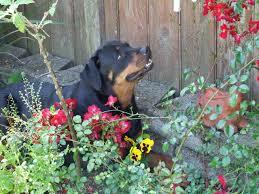 Back at the ranch was my last surviving dog, Sebastian, a Rottweiler. The most perfect dog I ever had. He never did anything wrong. His disposition was sweet and gentle, all one-hundred and ten pounds of pure muscle. A huge bowling ball head, sparkling eyes, always wearing a smiling. He sat perfectly for his food, gently took a treat from a child’s hand, never lifted his leg except at a tree, never climbed on the furniture or my bed, but would instantly cuddle when I sat on the floor. His huge head gently tilted backward onto my shoulder. Gazing back at me with his twinkling dark brown eyes adding a beguiling smile. How I loved to put my arms around his massive body and hug him. Here we faced a pivotal moment in our lives. I am going into my first surgery, Sebastian is aging quickly approaching his thirteen years. Complicating the issue, he no longer could rise on his own from the floor. Patiently waiting for me to girdle my arms around his body, lift his huge chest up, his head would tilt sideways as if to say thank you with a seducing smile. We would waddle outside together. Often his back legs buckling as we walked down the two steps from the side porch. Steadying his hips, Sebastian would take a breath, tilt his head slightly – smiled, forcing himself onto the grass. As my surgery time approached with Sebastian nearing his thirteenth year we had to have a difficult conversation. Sebastian blinked with his deep penetrating eyes. That was Sunday night, July 2006. Monday morning Sebastian had slept into an unconscious state during the late morning hours. His breath was barely visible, his heart rate was nil. I called Dr. LaBonde again this July. I was told he was not in town. It did not matter. Somehow I must pick Sebastian’s body up, get him into the back of the car with his sheep skin rug and let him go gracefully. This was a week – to the day – before my first surgery. 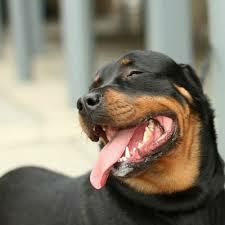 All I could think about was Sebastian’s smile the night before and how much I loved him; my perfect Rottweiler. He made the decision for both of us. While my heart was wrenched in agony, I backed my car up to the porch, opened the back, picked up Sebastian, gently laying him into the yawning backend. Caressing his huge block head as I laid it carefully on his sheep skin rug. Securing his body for the hour’s drive to the vets. Never thinking, how did I pick up a hundred and ten pound dog? I had to let Sebastian completely go with the same love he had given me for thirteen years. When we arrived at the vets, two women were ready at the door with a stretcher. 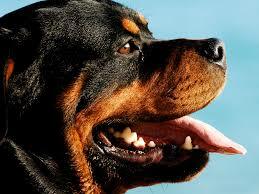 I said “he is a hundred and ten pound Rottweiler.” They asked for one of the male attendants to come help. We carried him into the transition room. Pictures donned the walls with other dogs and cats who met their end with loving grace. A chair or two with a love seat, scattered flowers and candles. We set Sebastian on the floor. The doctor who did not know me started to explain. The needle slide into Sebastian’s vein with ease. Kneeling next to him, I held Sebastian’s head in my hands, kissing him on the forehead and nose. Sebastian barely opening his eyes one last time, he looked at me with a slight smile as his head titled into quiet slumber. The doctor rose, he put his hand on my shoulder “take your time.” “Thank you.” The tears came roaring up as I let my perfect dog Sebastian, my last Rottweiler slip away from my life. That ten minutes were the only grieving moments I could allowed. The next day I was back to the doctor ordeal and my injuries. On the phone with the lawyers’ office; “you must call the insurance company to have my pain medication approved prior to surgery.” “Don’t worry MicheleElys we have taken care of all the necessities.” Famous last words for a reconstructive shoulder surgery! Staying two days in recovery due to my allergies to drugs and being monitored, I asked the nurse to allow me have some pain medication for the trip home. She called the doctor and my lawyers office, and was reassured pain meds were appropriately handled. Arriving at the pharmacy to pick up the pain meds while the current pain was throbbing, I waited over an hour in the car in double hospital gowns in July heat. It was too hard to disrobe and dress again, then disrobe at the ranch house. The driver came out and said the pain meds were not approved by the insurance company; it is now 5:00 PM and the lawyer’s office is closed. That did not stop me from leaving a rather expletive message. I became a raging bull. 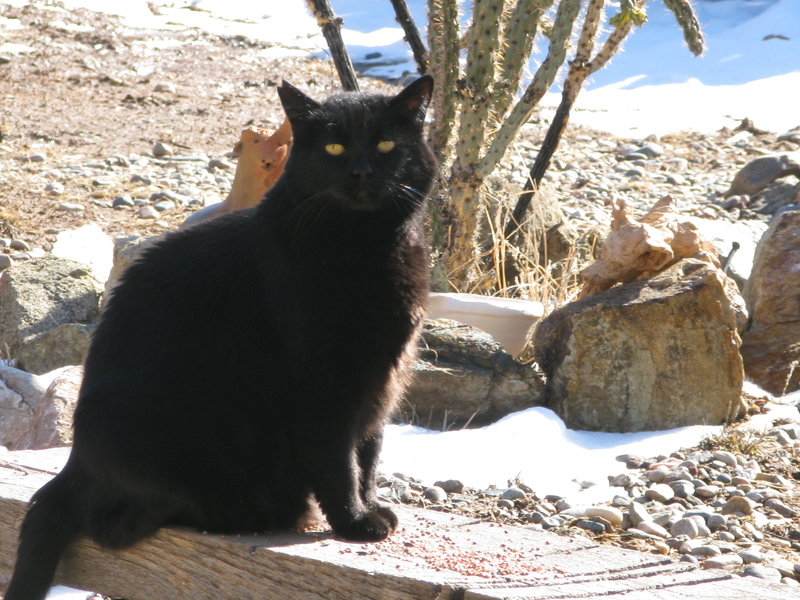 Losing Sebastian and Buddi never entered my heart; physical pain consumed me. I lived way out in the country and demanded a day nurse to meet me at the ranch. She was not informed to my medication allergies and gave me the wrong pain medication that exacerbated the pain. The easement to the abiding two ranches was almost a mile long, if anything happened to me – no one would know. With both dogs gone and wrong medication, there was no comfort. The next day a new nurse arrived without proper instructions to the easement or pain medication. This time my anger could no longer be quieted when calling my lawyer. I became a banshee and extremely demanding, “get me the proper pain meds and I don’t give a damn how you get them out to me!” Five days later the proper pain medication arrived via the second nurse. With my right arm, I threw them out the door onto the grass, “I am on Tylenol now and it’s taking the edge off.” My surgeons’ and lawyers’ office made excuses for my off handed behavior stating “she is in pain from the shoulder surgery.” Bull, I am pissed off! My physical therapist came to help, we hit it off with her first comment, “this is really far away from any help, how have you been doing? I heard there was a problem with your pain meds.” We talked about my studies in Tai Chi, and that I rode those two Arabians outside. A daily visiting nurse came to feed Sammie, take care of me and help feed the two Arabians. She was unaware of how heavy a bale of hay was! August 2006 two weeks after my surgery, wrapped in a huge sling – large foam padding to keep my arm away from my body, a bottle of Tylenol, my sling was hurting my neck. I am not a nice patient when promises are not kept. I woke that Saturday and realized, this is the first time since my twenties I do not have a dog. I need my best friend! 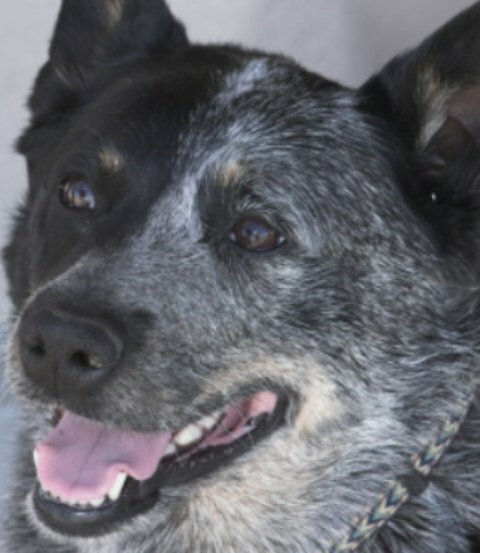 Calling a couple of shelters, I began to search that morning for my Blue Heeler. Determined to have her with me before that afternoon. 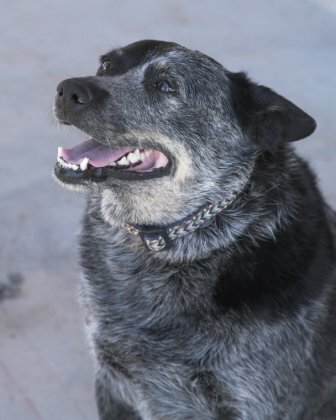 After stopping at one place where I saw a note prior to my surgery, “Blue Heeler for adoption”. “No that dog was adopted last week.” Downtrodden, yet determined I listened to the lady, suggesting I go to the “Buddy Center” in Castle Rock. No time to call. Half an hour later I drove into the Buddy Centers’ parking lot. Walking in, not realizing it was dog adoption day I looked around for help, everyone was busy. Starting to look around for the dog area, a lady in a pink volunteer jacket asked me if she could help. Oh Dear, this poor woman dealing with me in pain and determined to pick up a two year old female Blue Heeler. “Yes, I am here to find my dog, she is a Blue Heeler about two years old.” “You mean you lost your dog, well you need…..” “No I did not lose my dog, please point me in the direction of your dogs!” “But if you lost your dog….” “Please point me in the direction of the dogs.” Taking a breath, I looked squarely into her eyes knowing I am being difficult and poor lady is trying her best to help me. “What is your name please?” “Katherine, but if you are looking for your…” “Thank you” as I took off down the long windowed walkway, hurriedly looking from window to window. Little doggies, big doggies, three to five in each windowed room. It reminded me of an old movie – Logan’s Run – damn there are a lot of dogs here and it smelled. I am a clean freak, fresh air is my scent of choice, this was enclosed dog area, some barking, some walking in circles, some sitting in wet spots, some on a cots. I shook my head thinking, how we humans come to this point in life – as I approached the last window. There, sitting quietly was the only Blue Heeler! The Heeler turned and looked at me while two other dogs pawed at the window barking then turned looking at the out door. That statement stopped me in my tracks “eligible?” Time to make nice, my dog is sitting in that window waiting to come home with me. “The loss and found is not in this building.” I bowed my head; smile! “This is the dog I want to adopt. She is perfect. I did not lose my dog. My vets is Dr. LaBonde…” “Oh we know Dr. LaBonde.” “Yes, he has been my vet for fifteen years. He has attended all my Rottweilers and birds.” “You have birds and Rottweilers?” “Could you help me fill out the computer form?” This delighted Katherine, she wanted to help. “Now you say you work at home and you have horses?” We require that all dogs have someone present at home to watch over them through the day and night.” With this comment, I understood why there were so many dogs waiting to be adopted. Mentioning Dr. LaBonde as my vet and Littleton Large as my horse’s vets allowed the center staff to trust this was to be a good adoption, but the process was not half over. My shoulder is beginning to hurt. An attendant brought Sade into a meeting room to see if the dog would be comfortable with me. We sat, the Blue Heeler looks at me, I pet her, we got along then she turns and looks at the door as if to say “can we leave this smelly place now?” I smile and look at the attendant, “what more do we need to do?” “You want this dog?” “Yesss…..” We need you to fill out more paper work, she needs to be chipped. Are you alright with her being chipped?” At this point I am growing rather impatient and increasing in pain, I need a pain pill in my car, but I do not dare mention this fact. “How are you going to handle this dog with your shoulder?” Smiling I said, “I handle two Arabian horses and their feeding, she is much smaller than they are. You may call Dr. LaBonde.” “Oh, you know Dr. LaBonde?” “Yes” smiling, wishing to cover my nose from the perforating dog odors. At the front desk, my shoulder now excruciating, I write my check, sign adoption papers and am told there is a wait for my Blue Heeler to be chipped. Knowing I need a pain pill from the car and my new Blue Heeler needs a bed, collar, lead, food, toys, and treats, I suggested that I take a quick trip to Pets Mart up the street while they ready my Blue Heeler. This brought more smiles from everyone. And it gets me out to my car where my pain pills are before I snap some’s head off. Scrambling to the car, popping a pain pill in my mouth as I buckle the seat belt, put the car in reverse off to the store. Returning in twenty-seven minutes “are we ready?” “Not quite yet, we have another form for you to fill out and are you changing her name?” “Yes (smiling in less pain), her name is Sadë, S A D Ë with an umlaut over the *ë*.” “What is an umlaut?” I explain. Sadë comes out of the backroom ready for her new collar as I hand it to have her tags securely fastened. We are now into the fourth hour, I head towards the door with Sadë. As we walk to the exit, Katherine sees us leave, “you have your dog, so nice to see someone care about a new dog. Sure you can handle her with your shoulder like that?” “Yes,” (smiling in less pain) if you open the door that would make it easier.” We trot down the cement long steps, (Sadë moving faster than I, obviously, let’s blow this place attitude). Opening the car door, Sadë jumped in, sat perfectly in her back seat. “You sure you can drive alright?” “Yes, the back is loaded with all new Sadë bed, food and toys. We are good to go, thank you for your help. Bye now.” She waves, as my left hand motions back in surgically corrected sling. “Hey little girl, you have a new home and wait till you see all the acreage you get to play on and two really big dogs,” meaning my two Arabians. Fast forward to 2014: Sadë is more than a delight. She has protected me when undergoing the rest of the surgeries, when I was in pain she sat by me, when I had transient amnesia, Sadë was the only being I would recognize. Sadë sat by me, slept on her bed by my side, comforted me, and kept my home safe when I could not walk due to more surgeries. Now I have recovered. Sadë has endeared an 80 year old lady whom never cared for dogs until they both met. The only time Sadë is not by my side is when I ride my Arabian. The miles are too lengthy and she would overheat. The respect you give animals is the same respect you will show those around you. All relationships, intimate, family, co-workers or employees. 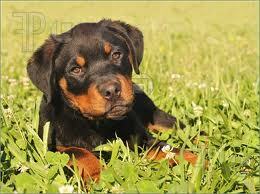 Dogs are loyal, loving, comforting, attentive, obedient to our nature, great hunters and company. We humans have a great deal to learn from our animal kingdom. Sadë is my best friend! Your loses were hard but your love for animals helped you to endure your loses, and your pain, and you understand the value of having animals as family not just as pets. Throughout the bad times and the good times you and them were always there for each other, and that is what counted the most and what was most important to you and the them. Animals, are never just pets, there value to us as humans are more important then we know! Thank for that story.